Have you ever wished there was a way to bring light and airflow into your home? If your windows just aren’t cutting it a storm door may be the solution. A storm door is a unique type of door that is installed in front of your existing entry door which provides both ventilation and protection. Storm doors can provide additional insulation in the winter and air flow in the summer. Storm doors play a crucial role in providing front door protection when a storm hits. With PJ Fitz’s storm door installation, your entry door will be protected from the effects of harsh weather which may batter and damage it over time. A storm door can ultimately save you money because it will shield your front door from the harshness of our winters and pounding summer rains which will extend its lifespan. Not only does a storm door offer longevity to your entry door, but it also provides extra security to your household. Just like any other door, this door comes with an extra lock that works as a deterrent to any intruder who may decide to pay you an unwelcome visit. On a warm day leave your front door open and enjoy the sweet summer breeze and peace of mind a locked storm door can bring. During the spring and summer most of us prefer to let in natural light and its accompanying warmth. If your windows just aren’t cutting it, a storm door may be the right fit for you. If you currently have a regular entry door, you’re familiar with the struggle. When you open it, light and air can whisk through the home, but we also welcome uninvited guests such as bugs, flies, and other pests. A storm door can help prevent all of those issues. The screens in your storm door will trap all of the bugs on the outside while the sunlight and air pass through freely. The opening between a storm door and your main door creates an air lock. This air lock can seal out cold or warm air and help lower your energy costs. Give your heating and cooling systems a break by updating your front door system. The amount of money you could save in electricity in the long run could pay for your door update. Storm doors come in different styles which you can choose from based on your preferences. This gives you the option of installing a door that matches your house. 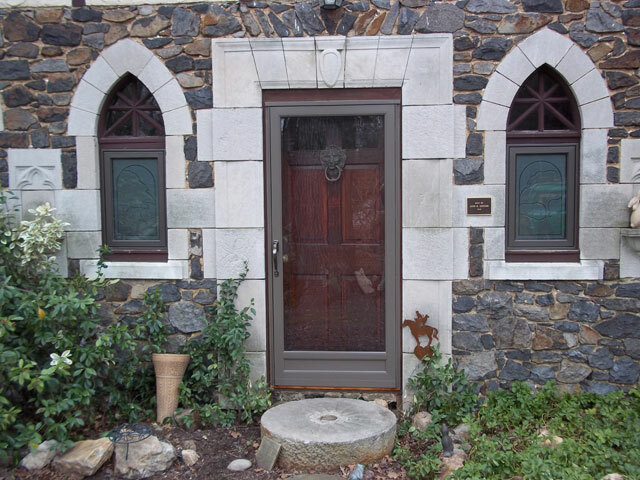 If you need some guidance while selecting an entry and storm door, don’t worry – PJ Fitz is here to help. If you interested in updating your doors, it’s always the right time to call PJ Fitz. Storm doors have benefits for every season. Our highly qualified door installation specialists are ready to help you achieve your dream home today. Fill out our Estimate Form and we’re more than happy to answer any additional question you may have about your door project. This entry was posted in Door Installation and tagged door, door installation, Energy Efficiency, home improvement, storm doors.